Philippine Sen. Antonio Trillanes IV has been living in his office since Tuesday over fears that if he comes out, he will be arrested. 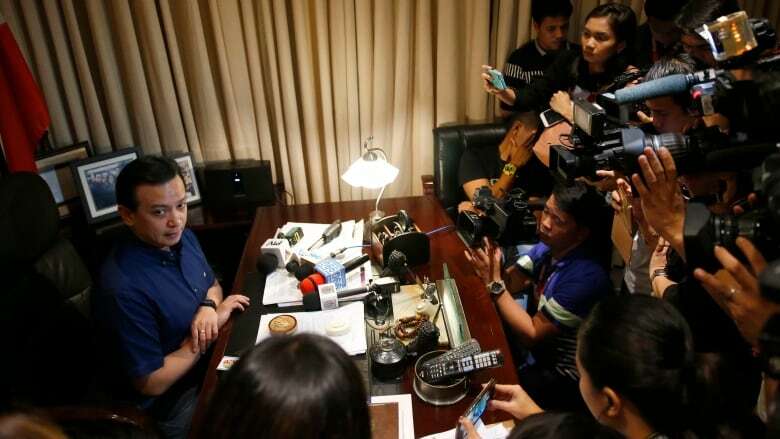 Philippine Sen. Antonio Trillanes IV has been living in his office since Tuesday over fears that if he comes out, he will be arrested for daring to speak out against President Rodrigo Duterte. 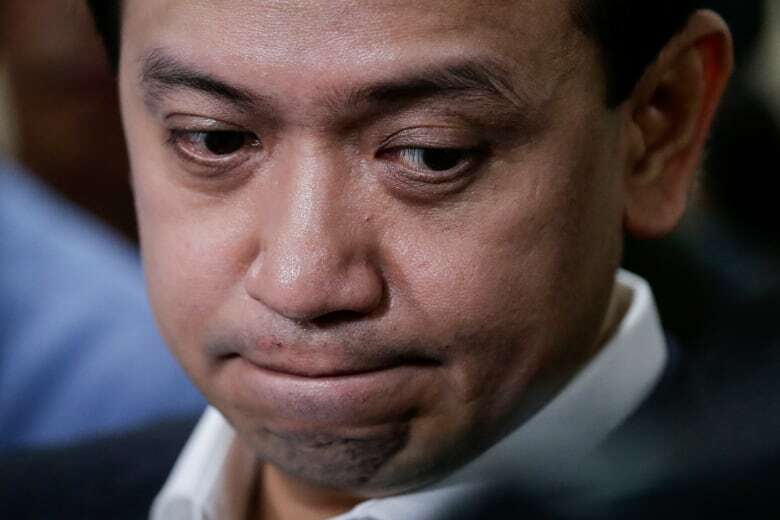 Trillanes has accused the notoriously volatile president of corruption and extrajudicial killings in a war on drugs that has seen thousands of people slaughtered. Duterte has denied the allegations. 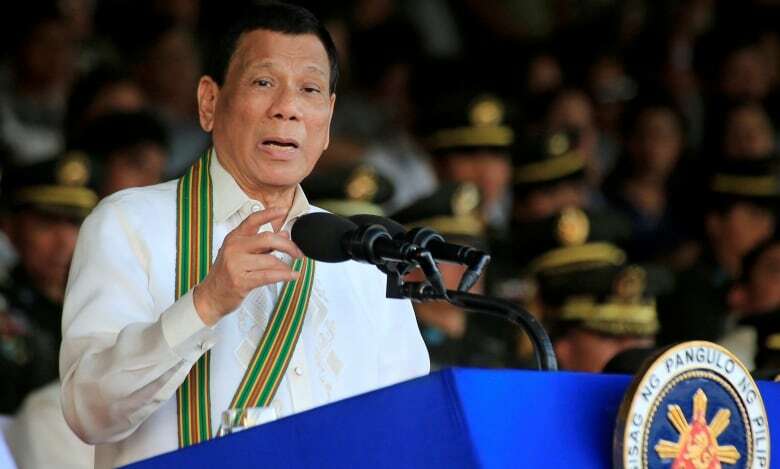 After Trillanes asked the Supreme Court to declare Duterte's order illegal, the president appeared to back down on Friday, vowing not to seek Trillanes's arrest without a court warrant. But Trillanes told As It Happens guest host Helen Mann he still believes he'll be arrested if he leaves. Here is more of what the defiant senator had to say. President Duterte seems to be saying now that it is safe for you to come out. So why are you still staying put in the office? We tried to validate that announcement in the media by asking the military and police units within the vicinity. And they're saying that their order for me to be arrested if I step out of the Senate premises is still holding. What was the official reason that you were given for your arrest ... warrant? The claim is since the amnesty was revoked and therefore the cases I had with the civilian and military courts are automatically revived, and therefore I should be arrested and incarcerated to my previous detention facility. Of course, they missed out several glaring facts. First, I don't have any military case anymore since it was dismissed when I was already separated from the service way back in 2007. As for the civilian courts, I have two cases — one for coup d'état and one for rebellion. Both cases were already dismissed in early 2011. If your cases were indeed dismissed, what do you think the real reason is that President Duterte is targeting you? Everybody here in the Philippines knows that this is all about political persecution. I have been one of the most vocal critics of this administration, particularly Duterte's extrajudicial killings, the corruption and even the drug trade that he's monopolizing. He is saying he will revoke an amnesty that was brought in by the previous government — an amnesty that covers you, among others. Do you think the courts will allow him to void that amnesty? Ordinarily, under a perfectly functioning democracy and judicial system, it's a no-brainer. But under the Duterte system, everything seems to be bent and twisted. I'm just hoping that this time, the Supreme Court will show to the world that we are still a functioning democracy by objectively deciding on this case. If the president really wanted you arrested, couldn't he just order the military to storm in there and get you? The Senate leadership stepped in and they stopped the arresting officers from barging in because they didn't recognize the presidential proclamation as a substitute for an arrest warrant. The sergeant-at-arms prevented the arresting officers from entering the Senate premises. They had an agreement that for as long as I am staying within the Senate premises, they won't ... arrest me. When we last spoke with you, it was shortly after your colleague Sen. Leila de Lima was arrested and jailed. You said at the time that you felt and believed the same thing could happen to you. At any point knowing that, feeling that, have you considered stopping your criticism of President Duterte? Definitely not, because I believe this is my mandate and I'm trying to be faithful in fulfilling that mandate. And this is just part of the risk that an opposition member under a political environment such as ours would take. You say it's a risk, but it is actually the fate, perhaps, for any politician who crosses the president that he's going to encounter this kind of threat? He wants to send another chilling message to anybody who would dare cross him. But that is precisely why I'm standing up to him and fighting this arrest, to show that we need to fight for our democracy, because a vibrant opposition is essential in our system of checks and balances. How much longer do you think you can stay inside your Senate office? Hopefully, on Tuesday the Supreme Court would find some merit on our petition and grant a restraining order and that would effectively negate the existing arrest threats. If the warrants are not revoked, would you consider surrendering? If the civilian court by some legal miracle would reopen an already dismissed case, then there wouldn't be any recourse left but to submit to the authorities. Do you have hope that justice will prevail? For as long Duterte is in power, you can only hope that someday soon our judges would would really do their jobs and objectively decide on cases and be independent from the dictates Mr. Duterte. But that has yet to come, unfortunately. Written by Sheena Goodyear with files from Associated Press. Produced by Imogen Birchard. Q&A has been edited for length and clarity.